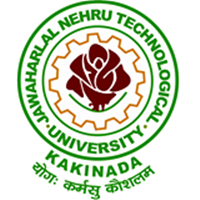 Sub: – JNTUK –Examination Branch – Revised dates of Postponed I B.Tech II Semester, I B.Tech/B.Pharmacy I Semeste,r II B.Tech/B.Pharmacy I Semester, III B.Tech/B.Pharmacy I Semester, Pharm “D” V, IV Years & Intergrated MBA II Sem, MBA/MCA II Sem, M.Tech/M.Pharmacy II Sem Examinations – Intimation – Regarding. The Principals of all the affiliated colleges are hereby informed that the following I B.Tech II Semester, I B.Tech/B.Pharmacy I Semester II B.Tech/B.Pharmacy I Semester, III B.Tech/B.Pharmacy I Semester, Pharm “D” V, IV Years & Intergrated MBA II Sem, MBA/MCA II Sem, M.Tech/M.Pharmacy II Sem Examinations already scheduled on 22.05.2017 & 23.05.2017 have been postponed in view of prevailing high temperature. The examinations are rescheduled to the following dates as given below. When M.Tech 1st sem results will be declared? 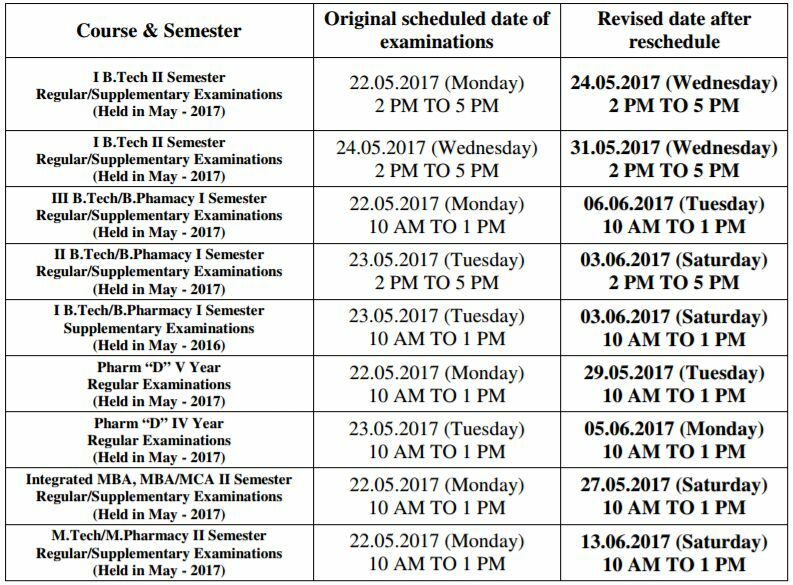 Regular/Supplementary (22-05-2017 postponed exam) exam is on 13-06-2017 only it is Tuesday. 13-06-2017 is tuesday , but jnyuk mentioned xam on 13-06-2017 as saturday . please give the clarity abuot tthe postponed exam for Mtec students. Please conduct these examinations in next month (June). Because we are unable to concentrate due to the high temperatures, and now because of jumbled system we had to travel much longer distances (its 46kms for me), so hard to travel. It’s a kind request to conduct the exams in the next month. As the examination centres are very far, very difficult to reach there bcz of high temperatures.its an unbearable climate, wind is blowing hot. Plz understand our problem sir. Yes sir it’s very hard to reach the examination centre better you change the examination centre as it takes a lot of time for the journey.its a kind request it’s takes 3hours for me to reach there which is very difficult in this unbearable climate. Sir, my request to conduct this exams in may month is more difficult to keep effort on study for students, this high temperatures not even making people to sleep properly then how students will concentrate on studies … As a wellwishers of us ,think again about remaining exams..think.. If jntuk can’t adjust those dates ,its OK we will try hard. 13-06-2017 week is wrongly mentioned. If exam is on 13-06-2017 means it is Tuesday,if it is 03-06-2017 means Saturday.